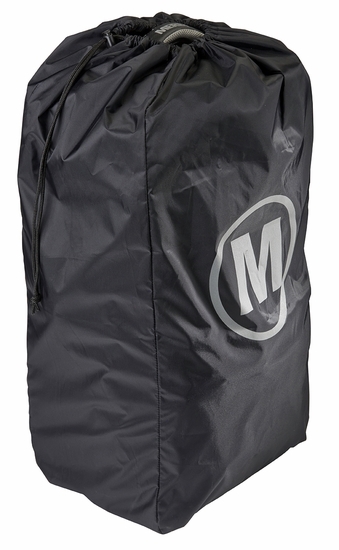 Protect your M.U.L.E.™ PRO while traveling using this heavy duty nylon sleeve. The protective sleeve covers the entire M.U.L.E.™ PRO leaving only the top carry handle exposed for easy pick up. The sleeve folds up neatly and can be stored in the bottom front pocket of the M.U.L.E.™ PRO. This is great for traveling teams, flight medics, and anyone who wants to protect their M.U.L.E.™ PRO when you're flying somewhere and checking your bags. Please note that the sleeve does not fit over modules.